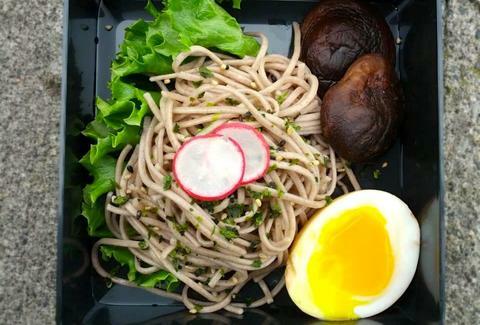 Helmed by the former chef at Fremont izakaya Showa, Bloom Bento's a Kylie's Chicago Pizza-based pop-up slinging highly composed collections of Asian eats (Koji roasted chicken breast, Kurobuta sausage, buckwheat Soba noodles w/ sesame dressing...), all arranged in a... waitforit... deep dish. Just kidding! That's how Kylie's pizza is served. These are in elegant little plastic lunchboxes.